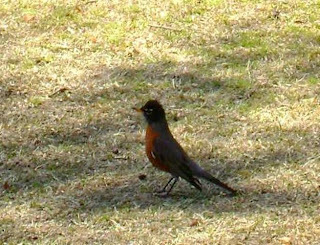 Nothing says Spring like Mr. Robin Red Breast! 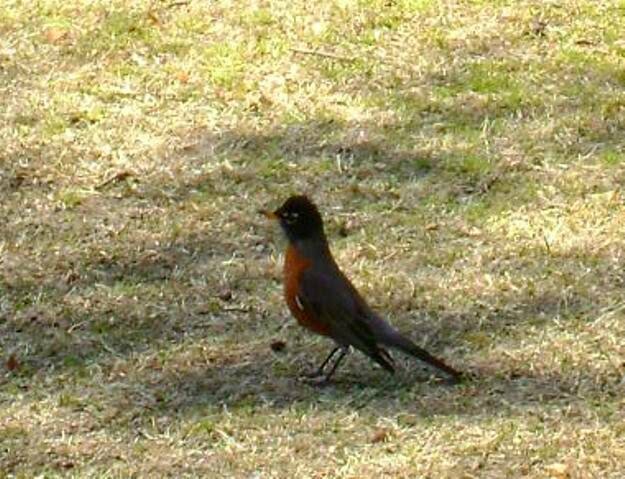 He and Mrs. Red Breast were also enjoying a few moments in the sun! 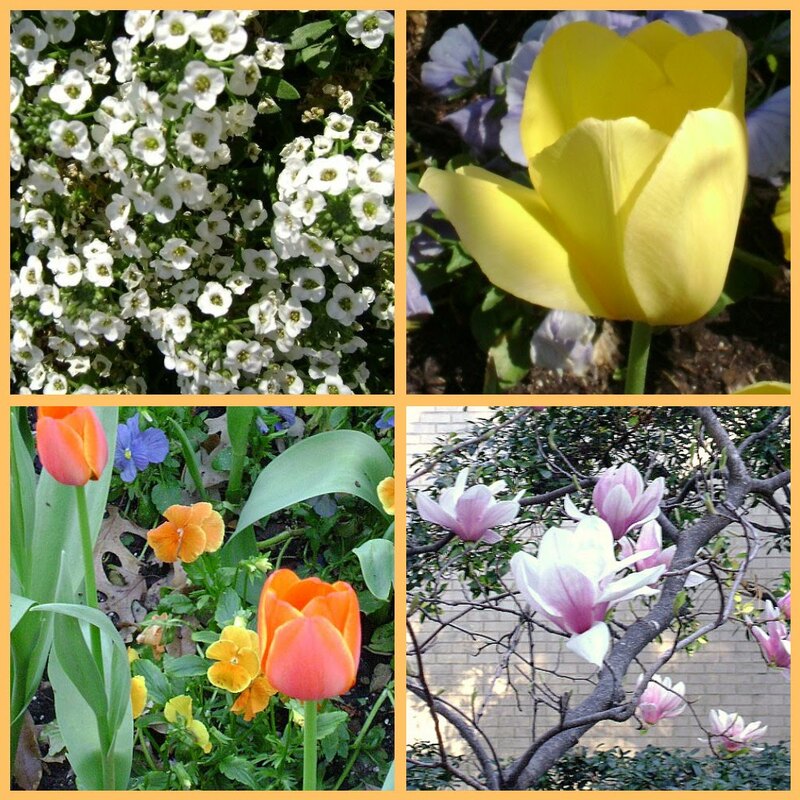 I am happy to see that spring is arriving in Dallas area. You have had your unfair share of cold!! I have been waking up to the singing of the birds!!! Much better then an alarm clock. We have a hawk that lives nearby. Those other birds really fuss at him!!! daffodils! daffodils scream spring to me. Love them! 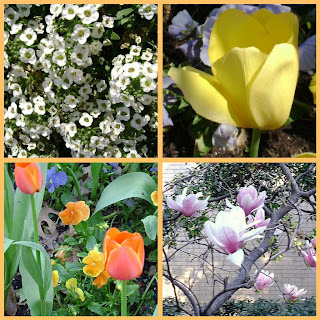 My poor tulips and daffodils thought it was spring the last few weeks and had started to poke their heads out. I hope they fair okay with the snow we received a few days ago. I do love Robins.